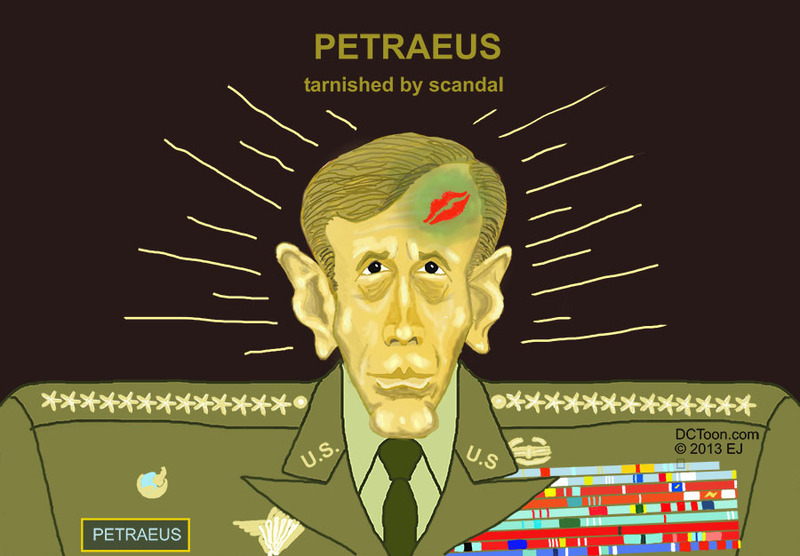 This entry was posted in General DC Politics, Scandal and tagged Cartoon, EJ, General, Petraeus, Scandal by EJ. Bookmark the permalink. I certainly agree with your vacuum assessment. I was interested in reading your theory explaining why this vacuum has occurred. Unfortunately, the concluding sentences seem to have be dropped from the comment. Or maybe the theory just went over my head. Anyway, have you read the book, This Town, by The New York Times’ correspondent, Mark Leibovich? He does a pretty good job revealing how the symbiotic relationships among the news media, Wall Street and the Washington politicians have created a cesspool in which “insiders” become rich simply by playing together.